Influencer marketing includes earned media, social media, gamification and public relations. The purpose here is to find brand allies who, through an engagement and nurturing process, will become powerful brand influencers and advocates. Today, we live in a complex world where consumers take shortcuts to establish the value of a brand or decide upon a purchase. To be effective in today's digital marketplace, brands have to harness individuals that have both influence and social reach. 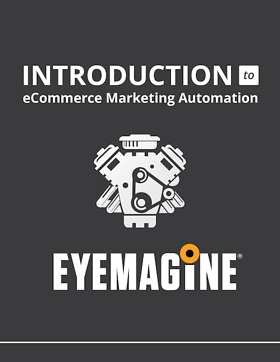 EYEMAGINE has a number of strategies and programs that will cultivate industry influencers and nurture them to become brand advocates. Once established, the trust and credibility that the followers have for the brand advocate will be transferred to your brand as they advocate and share information about you. There are a number of tools and methodologies that EYEMAGINE utilizes to identify, nurture, and engage thought leaders so that they become influencers and advocates. By utilizing influencer discovery and outreach tools, we can identify and engage with thought leaders (influencers) and “friends” (brand advocates). This is done by creating a network of brand advocates that will share their company’s content on social media and reference them in blog posts, webinars and premium content (eBooks, videos, speaking engagements and other live events) to help build the brand. EYEMAGINE obtains earned media by creating content so compelling that media outlets and influencers want to share it with their audience. We have also developed relationships and methodologies that allow us to get our quality content published by third parties. Brand Advocates Gamification Programs are designed to enlist an army of brand advocates that can be called upon when needed. These advocates can be used to support your demand generation efforts by promoting offers, events, white papers and webinars, posting online reviews in appropriate portals, and engaging in social media conversations about your brand. Their social reach expands your sphere of influence. One of the most effective utilizations of the brand advocate is sales enablement. You can utilize the best and most articulate advocates to speak directly to prospects that have already considered your case studies but want to speak to a real person before making a final decision. Public relations remain a critical element that will drive success of your program. Our public relations team ensures that our client’s ideas, concepts and solutions are shared through authoritative channels.